Born in 2009, Odacité’s collection of pure plant serums are rich in skin-essential nutrients to correct a multitude of common skin concerns. Reinventing the humble lip balm, this triple-action serum blows other lip treatments out of the water. Formulated to minimise vertical lines, prevent dryness and restore natural plumpness, it’s brimming with natural wonders, including super-antioxidants CoQ10 and vitamin C, stimulating mint and capsicum and hydrating vitamin E. Ultra-luxurious, the crystal applicator is made from aventurine, thought to bring good luck and prosperity. We treat our complexions to luxurious, incredibly innovative skin care treatments – so why not extend the benefits to your lips as well? One of the first areas to betray signs of ageing, it’s worth looking after your lips – and Odacité’s ultra-luxe Adventurine Kiss Lip Serum (Vitamin C + COQ-10) is the perfect way to do so. The triple-action serum is formulated to address the vertical lines of the lip area, prevent dryness and help to restore natural plumpness. Super-antioxidant CoQ10 pairs with vitamin C to improve and prevent the appearance of wrinkles; luxurious botanical oils and vitamin E help to hydrate lips; mint and capsicum create a wonderful cool-to-warm sensation, natural stimulating lips for a plumper look. And it’s not only the formula – even the applicator is luxurious. It’s crafted from aventurine crystal, a precious stone thought to bring good luck and prosperity. Perfect for lips in need of rejuvenation, this is also great as a primer or even over lipstick for an instant refresher. Apply to lips whenever they’re in need of rejuvenation, to prime for lipstick or even over the top for an instant refresher. 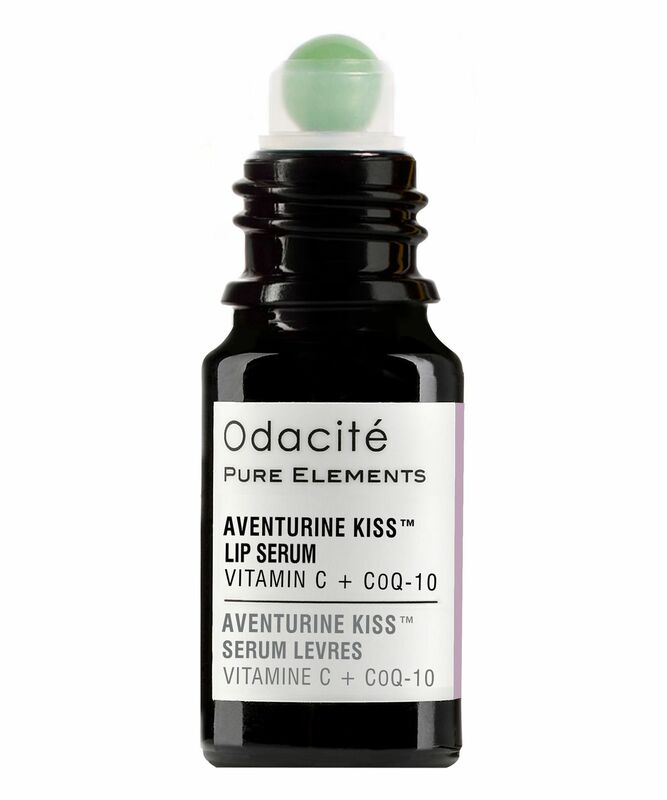 I absolutely love this lip serum, it is super-packed with vitamin C and CoQ10. I also love that the rollerball is Aventurine crystal - not plastic. And the dark-glass bottle slows down degradation of nutrients. It’s mid-winter and my skin feels dehydrated from central heating indoors and the harsh elements outdoors. This is such a well-needed lip treatment. It has become a staple in my lip care. Love it. The minute I heard about this product I knew I wanted it. Odacite is a brand that I trust implicitly. From knowing Valerie the founder for a few years I know every aspect of their sourcing and formulation processes is done with huge integrity and zero compromises. This is why I snapped this up as soon as it arrived to tend to what I affectionally call my 'cat's bum lips' because of the vertical lines appearing at what seems like a rate of knots. It's beautiful to use, the rollerball is always cool making the action of applying it very pleasurable. The serum is a fine oil with a light sheen, you need to wait for a while before applying colour especially liquid lipstick as this would stop good adherence. I've seen a good cumulative effect of a more defined lip rim with fewer lines to break up the shape. N.B. I dropped it on the floor in my gym changing room and a chunk of glass smashed off it, which didn't make me popular. Worth noting even while small this isn't smash-proof. The product feels really pleasant on lips: softens lips and heals chapping. 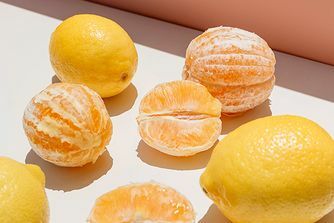 Plus it is all natural. Nevertheless I think it is too expensive for me to buy again considering its benefits.